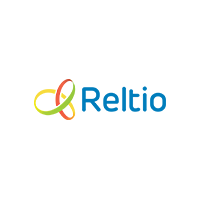 Reltio is a modern Master Data Management (MDM) Platform – a native cloud platform that organizes enterprise data for digital transformation. We now live in an digital era, data is the lifeblood of enterprises. Companies are leveraging modern Master Data Management to organize data across all sources and formats, so that they can learn from data and become more intelligent over time. This kind of software is the competitive advantage harnessed by dominant companies winning in the new data driven economy – from travel websites to social media to shopping sites to wealth management applications. There are companies able to survive and thrive in this new era, and there are those that aren’t. Reltio’s mission is to help every Enterprise organize all of their data and apply the power of data & analytics to their business operations.